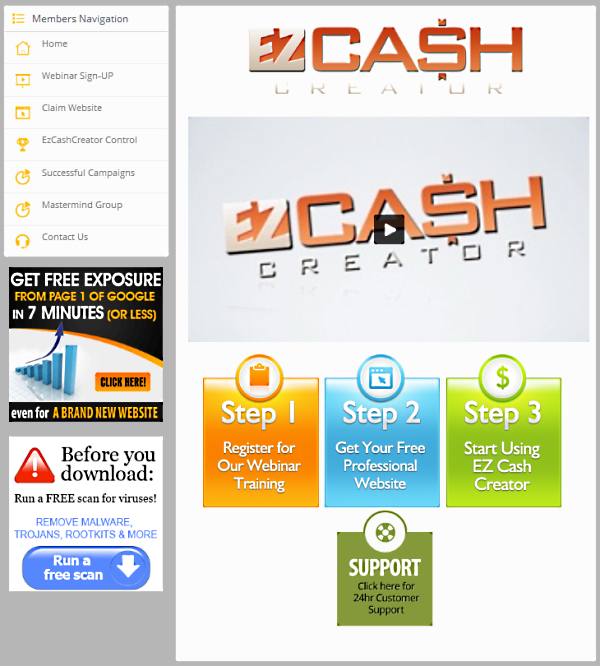 EZ Cash Creator – What’s In It? EZ Cash Creator helps the user slip solicitation in Facebook under the radar, shadowed by emotion-driven content from current events to hide the solicitation. Inflated advertising for the EZ Cash Campaign is expected to bring a windfall of sales. Is it worth it? 4. What’s said inside the product contradicts the promotional materials. Who is EZ Cash Creator For? This product’s intended audience are the computer & Internet illiterate out there who have not had any exposure to marketing on the Internet but are looking for opportunities. This product will appeal to many folks who are not attuned to sensationalism for what it is. The sensationalism found in the promotional materials is not anywhere near what it is inside the program. Any person who has had some experience with advertising and marketing will stay clear of this, and other products like it. Description of the product goes here. First thing I got hit with is a “special offer” advertising a free website purported to be worth $2,500 – and you get it for free. You just have to pay for the registration and hosting for the website. For website creation, the offer contends that building a website takes a month and costs between $2,500 and $5,000 and that professional performing of SEO (getting the website optimized for the search engines) is another added cost of $5,000. This is NOT true unless one is suckered into a deal like this without doing his/her homework! Next, your new website will be given advertisements, placed “strategically” on it, making you money 24 hours, 7 days a week. You won’t have to sell anything to anyone and be making money, even when you sleep. It is very unclear by the training on the software how these websites are put together with the user’s specific interests in mind. Your website will be optimized for the search engines. The video briefly explains in layman’s terms what SEO is. They go on to say that your site will be put together by trained technicians. The SEO for the site would normally cost over $5000. But today, they’re “throwing in for free.” They do it all and you don’t lift a finger. How much do you think you will be making with this website? Well, here are some folks (shown below this paragraph) right here who have done it. The only problem is, they show three individuals with astronomical amounts they’ve made from this program. The problem is, at the time of this writing, this program isn’t even officially launched yet! “Don’t bother spending too much time coming up with a domain name, you can always change it later.” Well, usually this can be done with any registrar, but it will cost money. Not sure what’s up here with this statement. Coolhandle is said to have been around since 2001 and has been acquired by another hosting company. The services offered are said to be acceptable. As for its customer service, it is reported by other reviewers and angry customers that their customer service is offline much or most of the time. This has gotten the company poor to mediocre ratings. At this time, I know little about this company nor its services except that it has budget price points with its business packages in the $13/month range. 1. signed up with them. What they want people to believe is that being signed up with CoolHandle is going to be a definite factor in search engine rankings. The connection to hooking up with CoolHandle either isn’t available yet or the software has a glitch. It has two adverts below the Main Menu, “Get Free Exposure from Page 1 of Google in Less than 7 Minutes (or less) Even for a Brand New Website! and below that one advertising malware-removal software. It offers a free scan but like many others like these, will cost money to actually clean what it finds. On the right hand side, there is a video and four links below this. The video show the user how to navigate the platform. The training that’s in it has already been discussed above. Note that there is to be an upcoming webinar. It is not clear whether this is a pre-recorded event made to look like a live event or whether it indeed is a live event. My only guess as to the numerous warnings of limited seating points to more upsells. This remains to be seen. The legal information link sends you to a new tab, at this time, right back to the same page. The Webinar is free. You will just put your name and email into the form and book your seat. What you get here is a website that’s completely controlled by “specialists” who do the SEO, add the advertising and content to it, apparently from the work you do with the software. What I find quite disturbing about this is that the narrator assumes the reason the user has purchased the software is because he/she doesn’t know how to drive traffic to websites. Ironically, the original promotional adverts do not even mention anything about what this thing is or does! This is further evident that the developer(s) here is targeting an inexperienced audience. The video advertising the websites is vague on how the software relates to the websites. Once inside the actual dashboard of the EZ Cash Creator itself, you are given two forms positioned vertically. There are EDIT & DELETE buttons below. We have already covered the first four items in the Main Menu as they are repeated on the right hand side below the video. 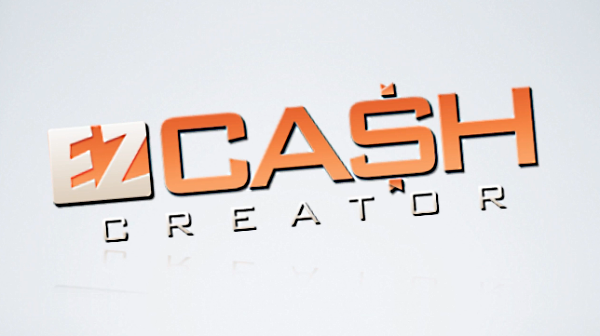 A rather pathetic product is in the works, EZ Cash Creator by Travis Stephenson. The launching of this site February 3rd, 2014. My findings: Not Recommended! My initial experience with Travis Stephenson and what he puts out are extremely low quality, rather ineffective product launches designed to separate you from your money and provide you little more than useless junk. At this time, there is not much information to go on with this product launch, however, there are tell-tale signs that this is a long line of red-flags on this product!. …and it hasn’t even been launched yet! This is just a little taste of the fakery in programs like this! 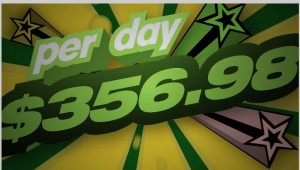 What you are already doing right now can be making you up to $256.98 per day… (in sparkling, revolving graphics) Note here the exact number. This folks is a ploy used by advertisers to get your trust. You see, It’s an exact number, something concrete for you to grasp onto – therefore, it’s believable. Subconsciously, this registers in most people’s minds as something believable and thus it is often used covertly by some advertisers and marketers. It is an anchor for the subconscious mind. …with absolutely NO additional EFFORT! Watch Your Back! This is a Big Red Button at its best – a Silver Bullet! And it’s in patriotic colors of the United States – Red, white and blue! Another anchor to gain trust! Here they are appealing to you with the fact that there’s no work involved! There’s no free money out there and don’t let this type of thing fool you. It’s not marketing, surveys, article writing … none of that! Again – a contrast to things that do take effort (but are much more effective and lucrative in the long run.) The narrator goes on to say that you get paid weekly (Oops what did that lady in the beginning say???) Well, the text is shown in the box above, but the sales videos will reveal the acting when it comes out! Uh oh! here comes another exact figure – a whopping $129,940.72 A Year! (yes, we can’t forget the exact penny change you will get! How’s that to be thrown before your eyes across the video screen? I know this might sound a bit too good to be true Well yes, if I were born yesterday! 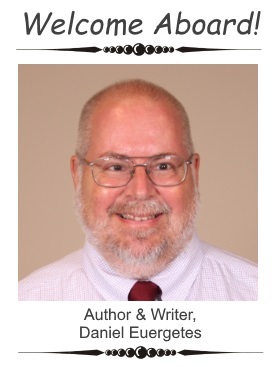 The narrator continues …opens up a world of effortless profits that churn out easier than telling your Facebook friends about last article you’ve read online! …and all of this happens in LESS THAN 5 MINUTES A DAY! Oh yes… this requires no learning? How much easier can this get??? You’re going to get paid for what you already do! Okay, What’s this Program All About? I have now gone completely through the sales video. Before I get any further with this, I’m going to red flag this RIGHT NOW! Why did I label this a scam? I will show you after I give you what information I can as to what this program is, because the sales video tells you not one jot or tittle about it! The blatant intrepidity of this presentation had me laughing at times, but really this isn’t at all funny! It’s the hard-earned money of thousands of people at stake here! This review is going to be done a little differently and perhaps longer than usual, so please bear with me. I have a FAR better alternative for you after this is done. PRO #1 This is an excellent example to teach folks what’s in a bad product. PRO #2 Get a $28-value for the $75 Google Traffic Incentive. Dispose of the rest. PRO #3 There is nothing notable about the product itself that has any value. CON #1 Extremely shady advertising. CON #1 Appeal to emotion through power words, scarcity, etc. CON #1 Nothing whatsoever said about what this product is or what it does. CON #2 Leaves prospects in danger of losing their money for rubbish. There is essentially no indication as to who would benefit from this product except the developer/owner himself as he rakes in money from unweary folks. This product is for anyone who wishes to part with their money. The product itself is said to be a tool used to somehow generate cash. The sales video contains a contradiction in it about what training this product requires. In one breath the narrator says it’s for people who don’t want to bother having to learn about it (stupid easy to use) yet in another breath, mentions his “students” who would use it. The only support that I can see throughout this deal is a 30-day money-back guarantee if customers are not delighted with it. The initial price of the product is $97, but to “sweeten the pot” the owner knocks off $20, making it $77. Upon attempting to leave the page, the visitor is presented with a Leave/Stay form for which either choice will take him/her to a One-Time-Offer of sorts to entice them to purchase. The already discounted price is now offered at $47 – a savings of an additional $30. The $75 voucher for Google Traffic now puts the customer in the green, essentially being “paid” $26 to purchase it. This voucher appears to be the only value offered here! Due to the shady nature of the various sales videos in this campaign and the “desperate” appeal to get folks to buy this, I absolutely DO NOT RECOMMEND this product to ANYONE. Stay away! Since there are quite a few screenshots involved, this information is on its own separate page. Please head on over to the supplemental page for this review. You came to this page most likely because you are looking for opportunities to help you make money on the Internet. There are a LOT of scams like this one all over the Web and it’s my hope that you took the time to visit the other page that accompanies this review. It is an atrocity that there are folks out there that will go to the farthest ends to separate you from your hard-earned money. 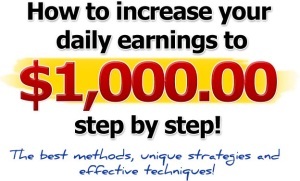 If you want to make money online, this is just like any other legitimate business and there are no Big Red Easy Buttons out there. It’s just not that easy and I hope you learned something from this example. Hopefully you will recognize stuff like this when you see it if you’re not accustomed to it. You can breathe easy that not every company online is a scam. There are also very highly reputable and honest companies out there too which cares more for your welfare and success than the money you give them. In this, the money always follows and so does the trust and reputation. I am a happy member of an online business community that teaches folks how to build online businesses from the ground up. If you would like to learn how to build websites and the campaigns that go with them, how to write and publish, I know just the place for you! The following video is one of many that purport to be comparative, indicated by its title,”Empower Network vs Wealthy Affiliate.” Watch and see why it’s not. Well, I hear much ado about this person’s experience with Empower Network. That may be her house in the background or it may not. She may be standing on her land with a beautiful Georgian pond replete with wildlife. It’s a wonderful setting if I do say so myself. And who’s to say this isn’t her home? So, I’m going to finish the job. I won’t have to go very far into either programs here, but the following is a comparative view of Empower Network and Wealthy Affiliate to see which one give you a better bang for your buck and the best quality of education. In this section, let’s make a short comparison as to the nature of these programs. They both teach online marketing, are both online businesses and both offer a business opportunity for their members. What Are Their Free Getting-Started Programs? What do each of these offer in the way of a getting started program which allows new members to get in and acclimate themselves to their new surroundings? How much value comes with these free programs? There is none. Yes, they will tell you that you can join for free. It costs $25/month to get a blog. If you stop paying this monthly amount, you lose the blog. That $25/month is only good for having the blog. You cannot promote any of their products (except procuring the blog itself!) I can think of far better places to get a blog that doesn’t cost you anything! To use Empower Network to get any sort of value out of it, you will not only need to put in vested interest in the other products, you will not be able to promote these and be compensated for them until you do. You will be pressured by other members to do so, else be shamed for not doing so! You will get as much or more useful information from Wealthy Affiliate’s Starter Membership than you get with most paid programs. Hard to believe, but true. You get two free websites and hosting to go with them. The sites are not plastered with advertising like those, even premium EN members must display on their blogs (which incidentally, are not truly free,) and they’re yours to keep if you decide WA isn’t for you. Not so with EN! You drop out from EN, they take the blog away from you. Not only do you get real value in Wealthy Affiliate’s Starter Membership, you will never be pressured to join the Premium Membership if you choose not to. WA’s Starter Membership comes with way too much to put into this blurb. Please head to my Review on Wealthy Affiliate to get the details. Both of these platforms have training programs. What do they teach and how is the teaching done? What things does the teaching cover? Both have products and/or services. They are different though and pound-for-pound, which one offers the better value? What’s the objectives of the teaching found at both of these platforms? What are their mottos? Let’s see which has the higher standards here and what members get out of them. Simply, what does it cost to join and then go into the “premium” services, if any? We often hear and read about Empower Network income proof in reviews by well-meaning folks, but are they REALLY reliable? Let’s let EN show the REAL proof! 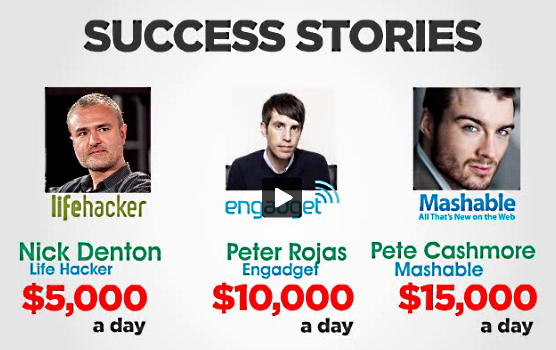 Can You Really Make Money with Empower Network? The answer is YES! You can – but whoa! Hold your horses! In this article, I will show you that yes, you can – but it is extremely unlikely unless you are one of the atypical folks out there. There are a very few folks that are MAKING money with it – and even FEWER who are actually turning a profit! Here, I will give you some raw data directly from Empower Network itself. It will come in the form of two charts – one to show what income levels were a little over a year ago from the time of this writing and then a comparison with a current one. Empower Network Reviews – Are They Reliable? Some of these are in fact! However, you must glean out which ones are actually coming at you with the truth about Empower Network and what you can really expect from it. Usually, these come from those who have done extensive research on EN and others from those who are, or were, members of EN and have discovered its many flaws. Empower Network Payment Proof! Proof of Income! Here I will show you what you can expect with making money with Empower Network, let alone profit from it. These are sobering facts and they come directly from EN itself! Of the first exhibit, I am truly shocked that someone very highly upholding the company, would include such facts! The date, coming from Empower Network’s own Corporate Income Disclosure, can be found right dab in the middle of her promotional campaign. I find this quite intrepid on her part as she appears to not even realize what she has included in her campaign! As apparently hard as it is to promote Empower Network’s products, I really wonder if this person has gone “all in” and is now part of the overwhelming statistics shown here for those who are not profiting anything. Note that in a years’s time, you will need to cover the costs of $300 for the blog alone (Product #1) For the Inner Circle, the yearly cost comes to $1,000. For the rest, these are one-time expenditures. If you were to purchase JUST the Blogging System, your cost will be the $300. 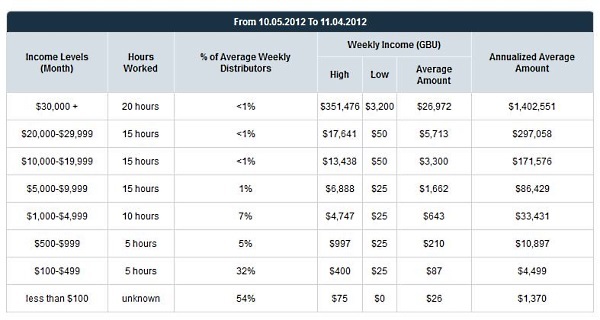 What percentage profile would you be under in order to cover yourself this charge and make some money in a year’s time? Note that if you DID make anything, you will be required to purchase a merchant account known as eWallet, one of EN’s programs (or one within its control.) Note that you cannot use PayPal for this as Empower Network has been blacklisted there! 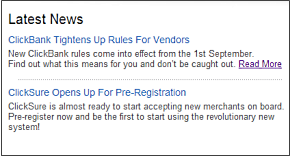 Empower Network apparently does allow third party merchant accounts – if you can find one. There is also those sales for which you won’t get commissions for as they are pushed upline – another Empower Network Policy. Can you make enough money to support this monthly fee? Evidently 69% cannot. The most current statement is right here below. You can see that, over the course of 14 months, this isn’t a whole lot different than a few adjustments in percentages here. None of these are enough to take the world by storm by any means! You decide to take in the next available product here (Product #2.) Actually, you can purchase these in any order except, by common sense, the first one. Now we’re up to $1,300 for the year for the blog and this other product for which expenditures you must cover. For these two products alone you might be fairly easy to make a profit but you will be limited to promoting these two, and only these two, and you must be in the top 12% for this level. If you are in the 88% that have not reached this level, you will be losing money! Note that if you were to go “all in” and purchase all of the products, you won’t make it here in this bracket! If you leave out one of the products and work your tail off, you might break even if you have exceptional marketing skills. To go all in and get ’em all, you will need to be outside of the 98% of those who have not reached the yearly income level to achieve this. The 2% that do, you can be sure these people are seasoned marketers. They know what they’re doing. They have massive email lists and know exactly which audiences to target! They know how to clarity for success, create compelling content, syndicate your content, sell using videos, drive traffic, do solo ads, do email marketing using seduction tactics and how to manage teams. 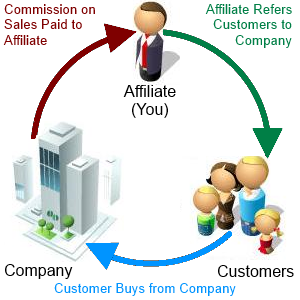 You will need these kind of tactics to bring people into Empower Network under the present structure it has. Who Am I and What do I Suggest? 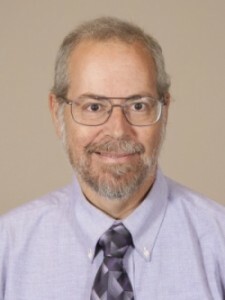 I am Daniel Euergetes, as my site implies. I am a proud member of Wealthy Affiliate, which is an online business training platform made up of a community of like-minded members all sharing the same cause – learn how to market on the Internet, help people and pay it forward to get folks like you to see the evil intent of places like Empower Network. 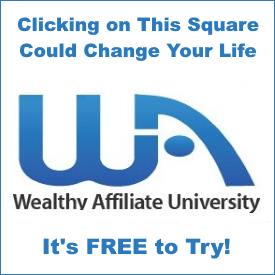 I encourage you to find out what Wealthy Affiliate is all about. You will not find black-hat tactics taught, expensive upsells, shaming (being called a wussy for not going all in amongst other choice things,) people being taken advantage of those who don’t know what they’re getting into, and many other insidious things found at Empower Network. Wealthy Affiliate teaches what you need to know to create and build an online business based on YOUR passions & interests (something Empower Network disallows.) Wealthy Affiliate is truly the industry standard at a fraction of the cost you will invest into Empower Network for far less than you would get at WA! For one thing – What you get for free at Wealthy Affiliate does NOT come with a cost as it does at Empower Network, and you get TWO (not one) blogs on which you do what you want as long as it’s clean and legal and you don’t pay for hosting or the domains! You do NOT get a cookie-cutter blog at Wealthy Affiliate and you get the free training that helps you set these up! These are basic WordPress-powered websites. Unlike what you get at WordPress.com, through which you can also get free websites, you get all the training you need to set them up! Check out my review on Wealthy Affiliate! You’ll be glad you did. Inside Wealthy Affiliate – Pure Online Business Training and Nothing Else! Here are three screenshots of the inside of Wealthy Affiliate. This is but a very tiny representation of what’s inside! 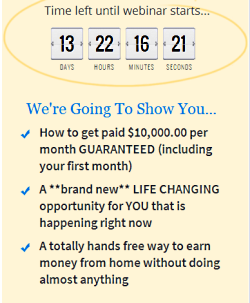 Click on any of these images to go to my Wealthy Affiliate Review and learn more about it! 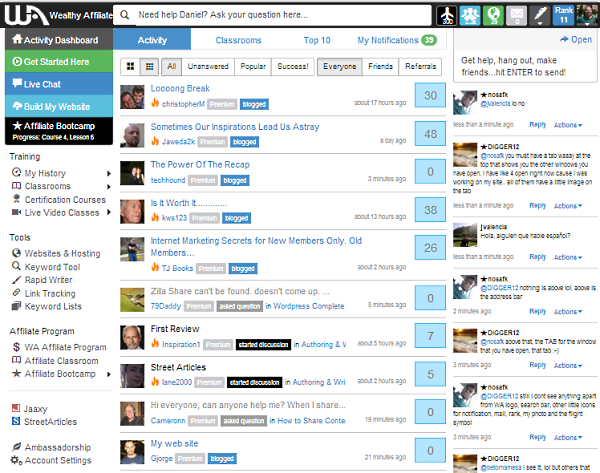 The Dashboard is your centerpoint to getting around all of the rest of the Platform. Note that member-to-member interaction is highly encouraged and is what has helped make Wealthy Affiliate what it is today! 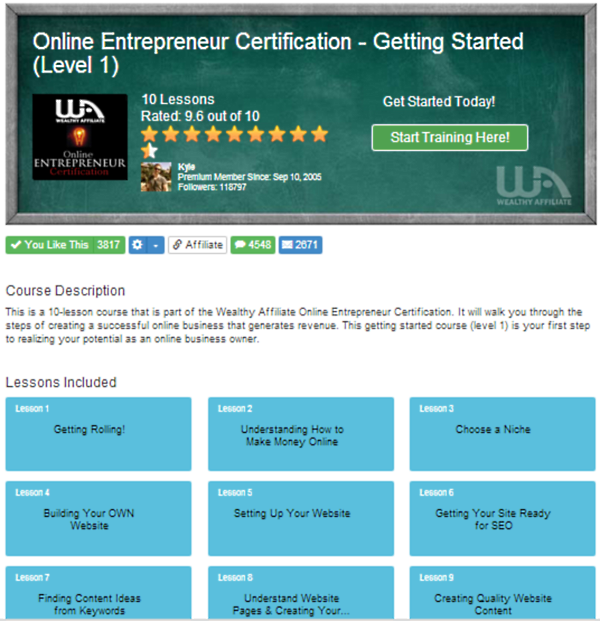 This is inside the first level of the Entrepreneur Certification Course – an intensive Course on building out a niche website and everything that goes into it. It is one of two intesive Courses, the other being the Boot Camp. This Course teaches members how to build an authority site. 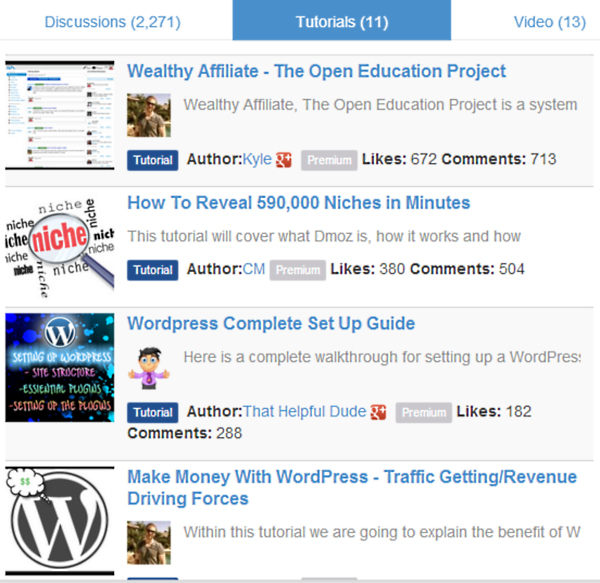 In the case study, this Course also teaches how to effectively promote Wealthy Affiliate. All the content in this Course is the blueprint to the creation of any authority site, not just WA’s Super Affiliate Program. This Level is absolutely free and comes with no cost. The BootCamp Course also has Level 1 for free. Members are encouraged to use their two free blogs to accompany the learning that comes with these Courses. There is NO cost whatsoever and the resulting websites are truely yours to keep! 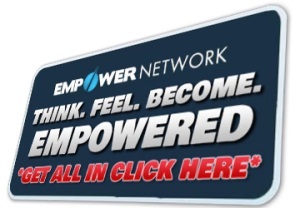 In Empower Network, you resign from that program, yo also forfeit your blog.